If you follow me on Instagram you might know Tom Ford is one of my most favorite luxury beauty brands. In beauty community Tom Ford is a luxurious designer’s makeup, fragrance and Nail Lacquer Line. This year’s Tom Ford Summer Soleil 2019 Collection is all about Gold, shimmer and glossy products with colors ranging from shimmering neutrals to alluring brights. This year in Summer Soleil Collection, not only are there addition of gorgeous new shades but also there are few brand new products. 𝟏- Tom Ford Glow Tone Up Foundation Spf 45 Hydrating Cushion Compact ($87) comes in 6 shades. 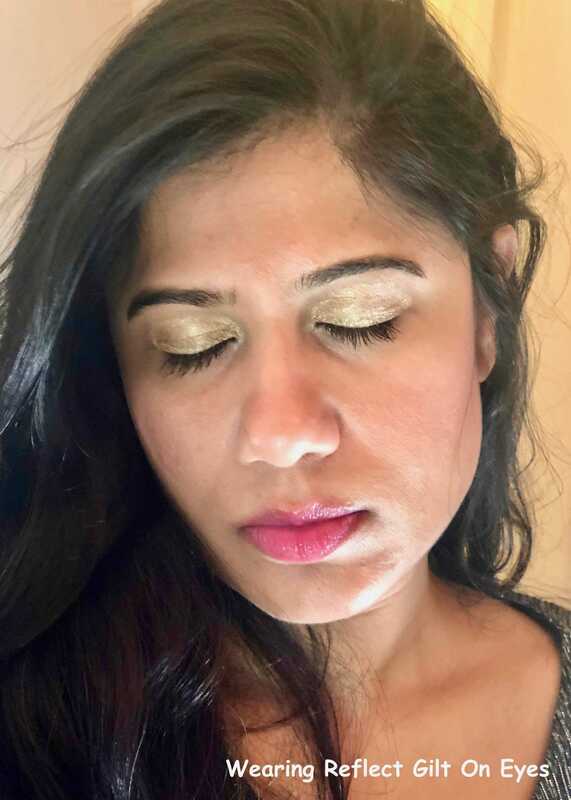 In this post I am going to review and swatch the most exciting new products flecked with 24K gold flecks and most hydration, included in Tom Ford Summer Soleil 2019 Collection. ✦ Tom Ford Acqua Metal Shadow ($46 for .1 Oz/ 3 g, Made in Italy) in shades Reflectgilt and Violet Argente. From Tom Ford Beauty I should’t expect anything less than luxe. Tom Ford Soleil Lip Blush ($55 for .1 Oz/ 3 g, Made in Japan) is a bullet lipstick infused with 24K gold. It appears clear in bullet but turns into a beautiful pink stain when I apply it on lips. 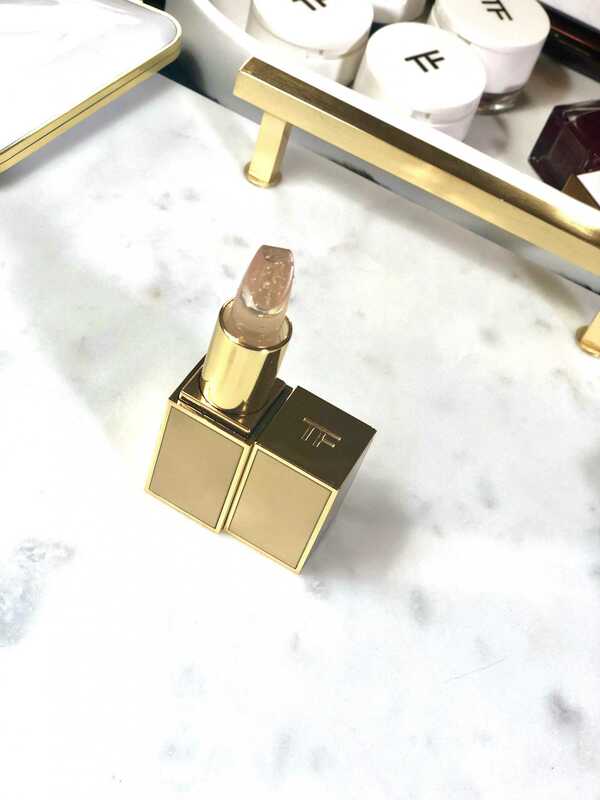 Tom Ford website describes: The crystal-clear lipstick bullet is flecked with pure 24-karat gold flecks. The moisturizing balm applies on clear and instantly transforms into a sultry pink stain. Specially packaged in a pure gold-tone bullet, lip blush perfectly captures the gilded glow of Tom Ford Soleil. As name suggests it works as a blush for my lips. 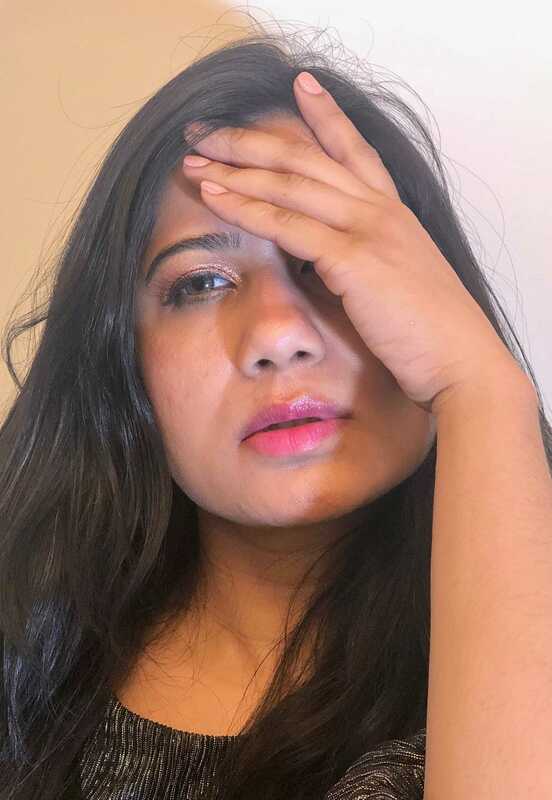 It appears beautiful pink stain on lips and ingredients in this lipstick prevents my lips from losing moisture. It is a light weight, long lasting and most hydrating formula which can also be used as a lip balm. Tom Ford Soleil Lip Blush comes in a special limited edition mirror effect gold-tone luxe packaging with clear bullet showing off the beautiful gold leaves. 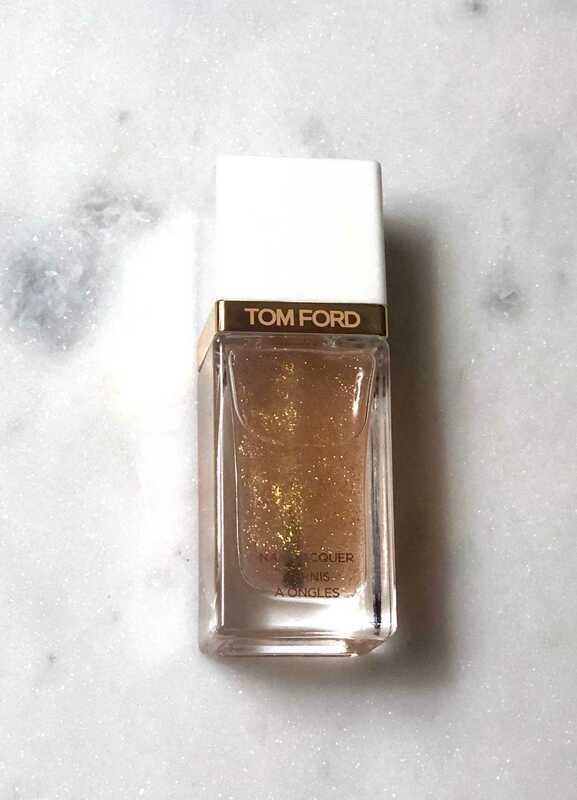 Tom Ford Soleil Nail Laquer ($37 for .41 Fl Oz/ 12 ml, Made in France) is another luxurious product from Tom Ford Soleil Collection 2019. This nail polish is infused with 24K gold and gives a radiant streak free finish. 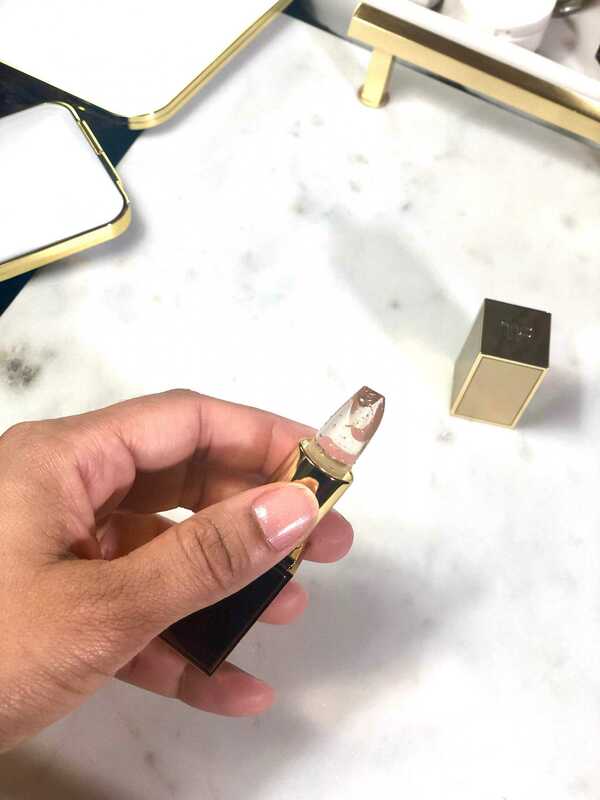 The crystal-clear nail polish imparts nails with 24K gold leaves while leaving a high-gloss shine, flawless coverage and streak-free application. Tom Ford Nail Lacquer can be used alone or as a topcoat. Polish itself is very clear and infused with very small gold leave which looks like glitter in any other regular nail polish, It can be used as a top coat or by itself. when wears alone by itself It gives such a beautiful radiant and streak free finish to my nails and those tiny gold leaves make such a subtle stunning look. I am truly in love with it. It is long lasting and has a subtle nice thick consistency that I can whether wear it in one coat or build it. 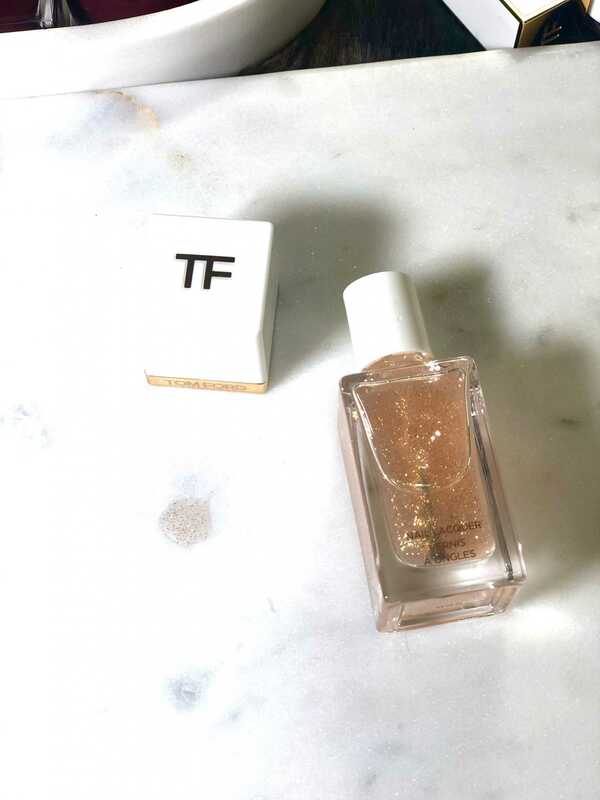 It comes in a Tom Ford nail polish’s signature clear glass bottle with a white cap. The square white cap pulls off and underneath is a twist-off applicator brush. The new liquid formula of Tom Ford Acqua Metal Shadow ($46 for .1 Oz/ 3 g, Made in Italy) is a stunning formula and colors are beautiful. I bought it in shades Reflect Gilt and Violet Argente. Translucent cooling liquid eye shadow lacquers lids with metallic shine. Packed with lustrous mica-based pearl pigment and water-resistant polymers, the long-wearing, silky formula provides superior adhesion by creating a thin, flexible film of color. 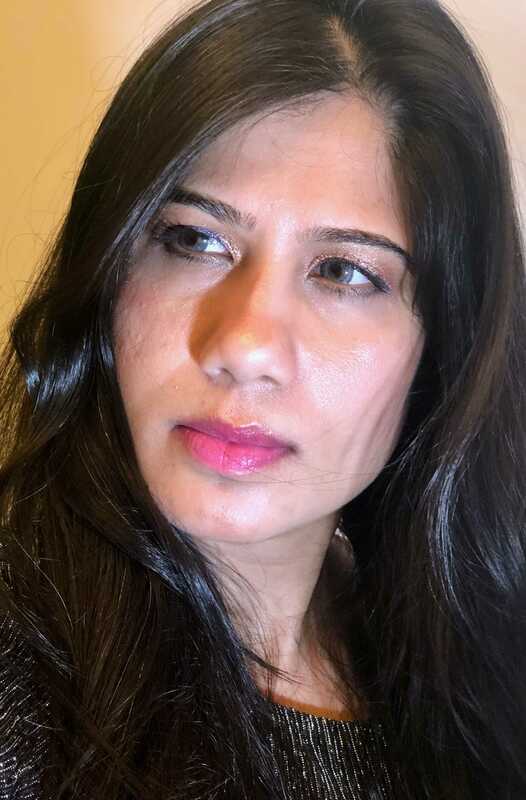 When I applied it first time I noticed formula was a little bit of sheer and application was little streaky. But in second and third time application I came to know the real beauty of these shadows. I would apply it in strokes on my eyelids and then dab and blend it with my Tom Ford eyeshadow brush. I find its formula little tricky to work with especially for a non makeup artist like me. 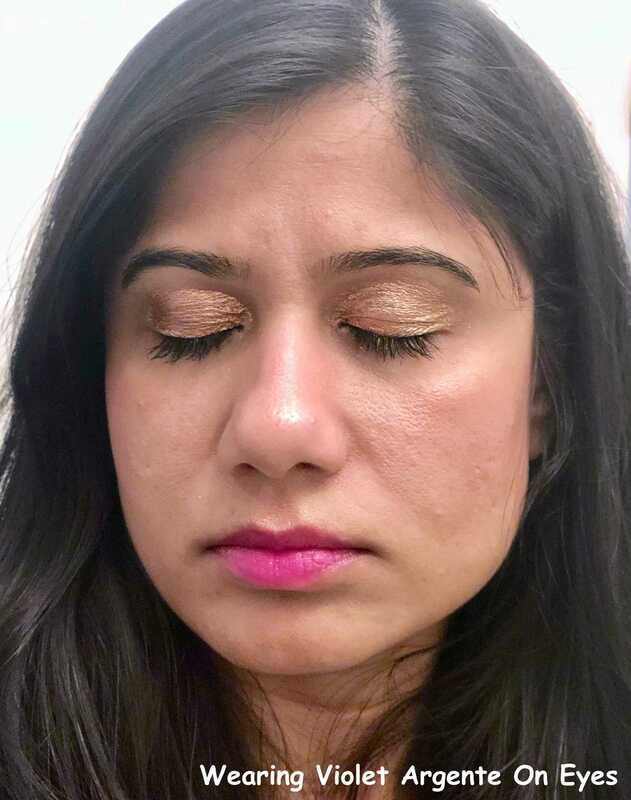 Formula is long lasting and takes about a minute to set so It gives me reasonable time to blend it out. Once the shadows are set and dried out completely they don’t smudge and transfer. These shadows have an impressive long lasting staying power. It has thin consistency which allows it to blend effortlessly into a beautiful sheer but even and subtle finish. It can also be build for more intense look. Formula is not waterproof and it comes off easily. It comes in a square edged transparent tube with a very soft foot shaped sponge applicator brush. I am giving away $30 Sephora eGift Card. Please READ all instructions carefully before you enter. TO ENTER YOU MUST FOLLOW FIRST THREE STEPS IN THE WIDGET (your entry will be automatically deleted otherwise). All Participants who unfollow after giveaway is over will be permanently blocked for future Giveaways. For further details Read Giveaway Rules.